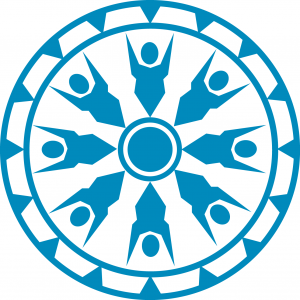 The Alaska Mental Health Trust (AMHT) is a catalyst for change and improvement in Alaska’s mental health system and seeks to improve the lives of its beneficiaries. Beneficiaries include Alaskans with: mental illness, intellectual/developmental disabilities, substance related disorders, Alzheimer’s disease or related dementia, or traumatic brain injury. If you are interested in joining this dynamic board you must have expertise in financial management and investments, resource management or regarding Trust beneficiaries. Additionally, applicants cannot have worked for an organization or served on a board that received a grant or contract from the Trust within the last two years. AMHT will be accepting applications until 4:00 p.m. AKDT on Sunday, October 21, 2018. Click here for more information. The Champions for Change (CFC) program is a Native youth leadership initiative designed to highlight positive stories of impact from Indian Country. The program, inspired by a 2011 White House initiative, develops young Native leaders through experience-based learning and tailored advocacy training. The Obama Administration has made historic progress over the past eight years in improving the nation-to-nation relationship between the United States and federally recognized Tribes. Together, the Obama Administration and Tribal Nations have accomplished shared goals and achieved milestones that upheld self-governance and self-determination – the foundation for prosperous and resilient tribal nations. Today, the White House is releasing a report outlining some of the successes of this Administration while working on behalf of Tribes. The report sets a baseline of progress for Tribal Nations to reference in their ongoing work with the federal government, and outlines the priorities that the White House Council on Native American Affairs (WHCNAA) will continue to work on based on Tribal leaders’ recommendations. While the Administration and Tribes have partnered for historic achievements, there is still much more to do. President Obama signed Executive Order 13647 on June 26, 2013, establishing the WHCNAA, which represents a path to a more effective federal government for Indian Country, bringing together federal Departments and Agencies from across the Executive Branch to “break down siloes” and coordinate for more effective programs. As demonstrated over the past eight years, when Tribal Nations and the federal government work together in a true spirit of nation-to-nation cooperation, momentous progress can be achieved. U.S. Senators John Hoeven (R-N.D.) and Tom Udall (D-N.M.) today issued the following statements after being elected Chairman and Vice Chairman of the Senate Committee on Indian Affairs for the 115th Congress. The National Indian Health Board (NIHB) convened over 170 Tribal leaders from across the nation to establish united Indian health priorities for the new Congress and Administration at the Native Health Presidential Transition Summit on Thursday, December 8 in Washington, DC. 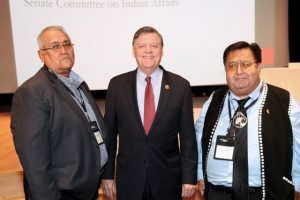 The all-day event consisted of bipartisan engagement with Members of Congress, including long-time Republican Indian health advocate, Representative Tom Cole (R-OK), as well as Vice Chairman and previous Chairman of the Senate Committee on Indian Affairs, Senator Jon Tester (D-MT). The Summit also featured discussion-based sessions with policy experts and Tribal leaders on the American Indian and Alaska Native priorities for the Trump Administration to advance Indian health. The Indian Health Service (IHS) and the Health Resources and Services Administration (HRSA) recently announced that 27 additional IHS and tribal hospitals are eligible for selection by health care providers in both their outpatient and inpatient settings under the National Health Service Corps (NHSC) program. This announcement means recruitment opportunities at NHSC-approved outpatient care sites including health care facilities that provide ambulatory and primary health services in urban and rural communities with limited access to health care. This expands the current list of 12 IHS and tribal hospitals that participate as eligible inpatient and outpatient sites for NHSC member clinicians through the Critical Access Hospital designation. The participating hospitals can utilize this expansion to provide enhanced staffing throughout their hospital service delivery system. Strengthening and growing the primary care workforce at IHS and tribal facilities is a priority and this expansion will allow qualified health care providers to serve at additional hospitals and assist in recruiting and retaining these providers beyond their two-year commitment. The NHSC helps bring health care to those who need it most by awarding scholarships and loan repayment to primary care clinicians who commit to serving for at least two years at an approved site located in a Health Professional Shortage Area. Health Professional Shortage Areas are designated by HRSA as having shortages of primary care, dental care or mental health providers and may be geographic (a county or service area), population (e.g., low income or Medicaid eligible) or facilities (e.g., federally qualified health centers, or state or federal prisons). 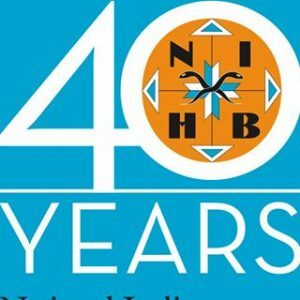 There are more than 10,400 NHSC professionals throughout the U.S., some of whom commit to fulfilling their service at IHS sites such as the Northern Navajo Medical Center in Shiprock, New Mexico. The site serves as the only medical center in its area and having the NHSC-eligible designation has allowed it to recruit and retain providers who may not have considered rural locations previously. With the expansion of the site’s eligibility extended to its inpatient setting, opportunities to increase the number of NHSC member clinicians will continue to bring quality health care to this underserved area. Current NHSC-site vacancies are also listed on the NHSC site . The last walls have been built and the final touches are being prepared for the six-story, 202-room patient housing facility to welcome its first guests in January 2017. Earlier this month, ANTHC obtained the certificate of occupancy from the Municipality of Anchorage, which has allowed ANTHC staff to begin filling the guest rooms with the amenities that will truly make it a home away from home for the 60 percent of ANMC patients that travel to Anchorage for their care. The facility is currently being provisioned, including bedding and linens, coffee cups, rocking chairs for family rooms, appliances for communal kitchens and “wiggle walls” – 90-inch interactive video screens that can recognize the movements of children, installed in play areas on the first and sixth floors. In addition to the final furnishings, new ANTHC staff for the patient housing facility have started training. These staff include the general manager, assistant general manager, front desk supervisors and agents, security officers, facilities supervisor and maintenance technicians. Housekeeping and cafeteria operations will be managed by contract with NANA Management Services, which also operates the ANMC Cafeteria. The final construction to connect the sky bridge from the patient housing facility to the north side of ANMC hospital began this week and will open Jan. 2. Since the project broke ground in May 2015, it has been exciting to see the patient housing facility rise on the Alaska Native Health Campus and we commend the ANTHC Strategic Access staff that have seen the project through since it was an idea in a boardroom. For more information about the project, visit http://anmc.org/new-anmc-patient-housing/. The curriculum for Alaska’s Dental Health Aide Therapist (DHAT) program was recently approved by the Northwest Commission on Colleges and Universities, through ANTHC’s partnership with Iḷisaġvik College in Barrow. This newly accredited degree program offers DHAT students the opportunity to earn an Associate of Applied Science (AAS) degree. In addition to the two-year AAS degree, which helps create broader career pathways for DHAT graduates, Iḷisaġvik will award a DHAT certificate upon completion of the first year of study. 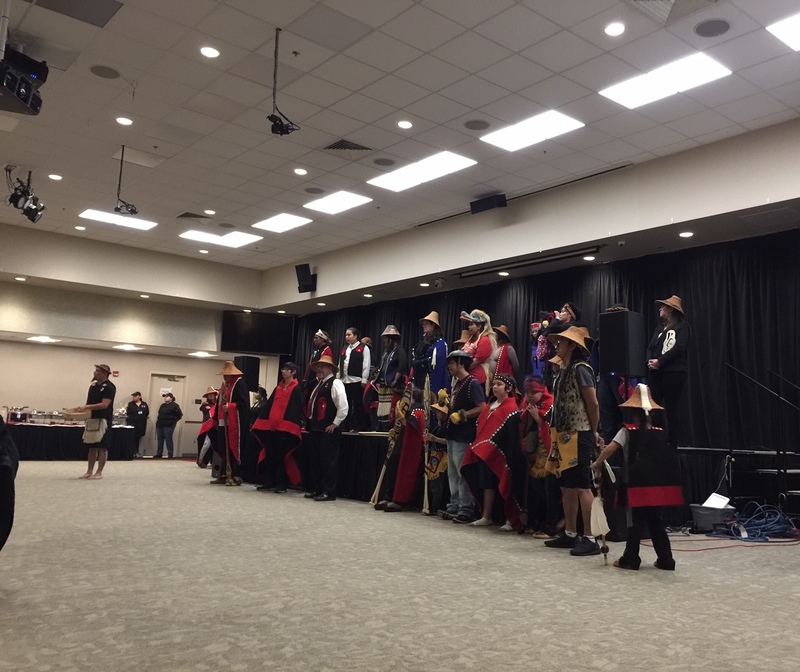 The program will still operate out of the existing instructional sites in Anchorage and Bethel, but will now benefit from the institutional support available through Iḷisaġvik. During their course of study, DHAT students have access to the full range of student services at the Tribal college, including financial aid, scholarship resources, academic support and tutoring. The process to accredit the DHAT program began last year when ANTHC and Iḷisaġvik staff collaborated on the project by outlining shared program goals. The partnership was formally announced at the DHAT graduation ceremony in June. DHAT students who started in July are enrolled in the first cohort of students in the Iḷisaġvik degree program. “We are happy about this partnership with the DHAT program, as it is uniquely suited to meet health care needs of rural Alaska as well as provide access to education for students in rural communities,” said Dr. Birgit Meany, Iḷisaġvik College Dean of Academic Affairs. 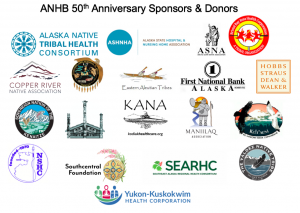 DHATs make important contributions to the oral health and well-being of Alaska Native people in rural areas of our state through culturally appropriate dental education and routine dental services within the scope of their training. This model of dental care increases preventative care necessary for the reduction of cavities and other dental issues that lead to oral diseases. Since 2004, these mid-level providers have expanded much-needed access to dental care and prevention services for more than 40,000 Alaska Native people living in 81 rural Alaska communities. For more information about the DHAT program, visit http://anthc.org/dental-health-aide/. When Gov. Walker expanded Medicaid in Alaska last year, there was also a push to reform the program to better meet the health needs of those being served. Representatives of the Alaska Tribal Health System (ATHS) have been key partners with the Alaska Department of Health and Social Services (DHSS) to jointly develop a package of Tribal Medicaid Reform recommendations that both improve the quality of care and create efficiencies in costs of the program. The recommendations are driven by a need to provide Alaska Native people access to the highest quality health care possible in their own community. When a higher level of care is necessary, it will be coordinated and made readily available through the ATHS. This will allow all health care to be provided by or through the ATHS, meaning patient care will be culturally appropriate and address the needs of our people. Our work on Medicaid reform in the Tribal health system will address the unique health needs of our people and help the State support its recent Medicaid expansion to sustain basic Medicaid services for all recipients especially in these difficult budget times. For medically necessary travel, Tribal organizations will be able to arrange non-emergency transportation services to improve the patient experience and create efficiencies. 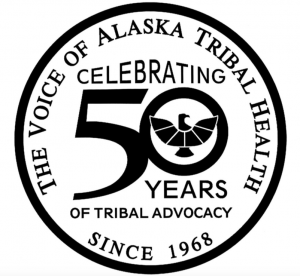 Alaska Native patients needing overnight accommodations to receive care will have patient-friendly and culturally appropriate lodging operated by the ATHS and reimbursed by Medicaid at the appropriate federal per diem rate. An expanded role and more appropriate reimbursement rates for Community Health Aides and other certified Tribal community health providers to furnish services to Alaska Native people in their home communities earlier and more effectively, and ultimately at a reduced cost. Behavioral health services available in more villages and Tribal Clinics, including at-risk children, as well as more integration with other health services. In the coming months, we will continue to work with the State of Alaska to seek Centers for Medicare & Medicaid Services (CMS) approval of the proposed Medicaid State Plan Amendments to implement these innovative, flexible, and culturally appropriate solutions to Medicaid care in the ATHS. For more information on the recommended initiatives or the Medicaid reform work, contact Jim Roberts with ANTHC’s Intergovernmental Affairs department at jcroberts@anthc.org.